Marvelous Multiagers! : Yay for a Good Day!! I had an awesome day with my first and second graders today!! They listened most of the time, they worked super hard, and all these minutes showed up that I never usually see! Today I started decorating the room for Christmas! The other day I saw this cute wreath idea on Dr. Jean's blog and decided to go with it! I don't have any store-bought decorations so everything I put up is kid-made (which I like better anyway)! Admittedly, this is not really "kid-made" besides that those are really the hands of first and second graders. I first had them trace their own hands. After two kids who took 15 minutes EACH, I commandeered that situation and traced all their hands and cut them out in my free time. Our secretary had that sweet bow template and then I just cut some little circles for berries! I think it looks amazing, haha!! I also put up my Dollar Tree Christmas bell! It's so close to the door that it won't even ring but I don't care!! Over the summer, I signed up for a traveling stuffed animal project on Second Grade Teachers' Club and yesterday we received Tyrone in the mail. The kids think he is the best thing that ever happened to them. One girl already is bringing him with her to everything she does... math stations... P.E.... the carpet.... I have to try and find a little pin to put on his vest! 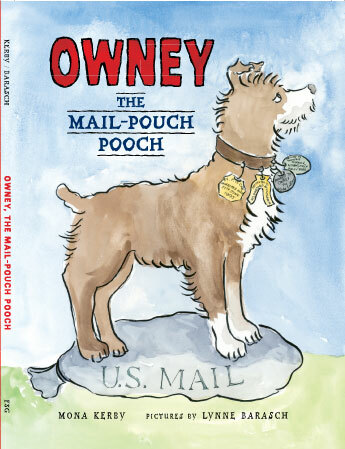 With Tyrone, we also received a book - Owney the Mail Pouch Pooch. I am not going to lie to you, friends - I was not feeling this book. 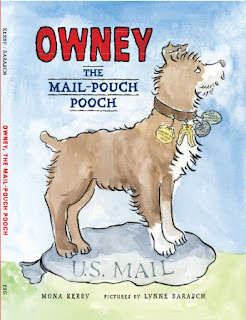 It is a true story of a dog who hopped on trains and went all over the place. The story was pretty cool, but it was exceptionally long-winded and I got bored reading it. In my bizarro world classroom today, the kids stayed sitting and silent for the ENTIRE THING. Whoa. I also started Words Their Way this week!!! It was a little hectic yesterday trying to explain what we were doing in life, but today when I had them re-sort their words into groups, about 80% of them were super into it. Hooray!!!! Yay for sorting!!! I have 4 groups and only 12 kids.... on one hand, I feel like that's kind of overkill, but on the other I do have two grades and incredibly varying ability levels. So I am feeling good about that! And on a last, more somber note, one of my dear little frogs went to frog heaven today. I am not really sad about it, as I only had them since August and the kids never cared enough to bother giving either of them a name. And this experience has taught me that I am not a class pet person. I think I'm more of a class plant person........ except I have a classroom that gets no natural light!! My wall of windows looks at the building right next door and we face the north! Any suggestions on plants that are cool with shade?